Hi! Welcome to "Luminous", the TAFL approved fanlisting for Kamiya Komaki , a funny and adorable character from the series Shinshi Doumei Cross (better known as The Gentlemen's Alliance Cross), created and illustrated by the great Tanemura Arina! 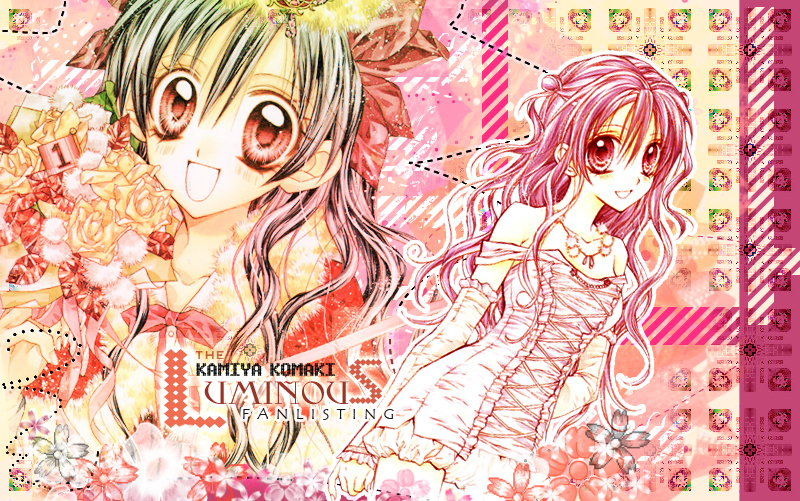 Komaki is my favourite female character, I loved her since the first time I read the manga! She's a very kind and full of love girl, that makes always her best to help the others, especially the beloved sister Haine, that she adores! Komaki is the kind of person that never gives up, and even if the circumstances are against her and the situation seems to be without hope, she fights and fights following her heart! Please, choose a link from the right to fully access the site, and if you're a fan of Komaki, feel free to join her fandom! all rights reserved. This is a fan-site, I don't intend to violate them. Layout & contens are © Dorothy. Do not reproduce.